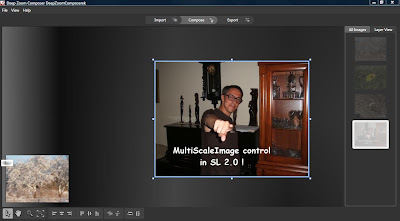 Silverlight 2.0 application with MultiScaleImage control and Deep Zoom Composer. In this article I would like to present simple application with MultiScaleImage control and generated images from Deep Zoom Composer application. I hope my English is enough to understand this text but just in case I will put a lot of pictures. 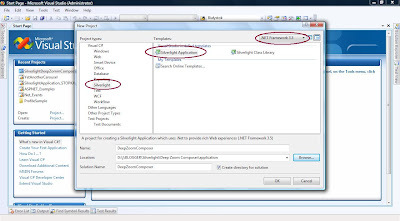 I will show you how to create application with very deep zoom and put it inside Silverlight 2.0. Create new project ("File"->"New Project…") and import images ("Add Image…"). Choose for example 3 images, not too much. Please, check if they are not too big (greater than 2MB). Now we go to another step by clicking "Compose" button in the top of the screen. 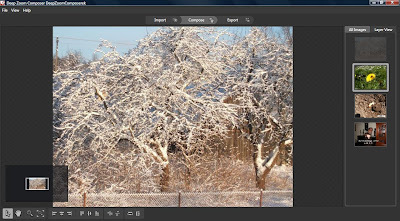 Then, drag and drop images. Take first one, resize and fit it to the screen. Zoom in image and place another one. And do the same to others pictures. Zoom it, and put image in that place. OK, so we created images, let's "Export" this to Visual Studio. 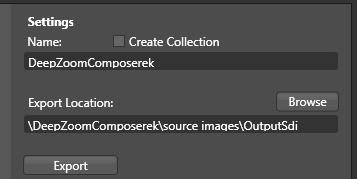 All we have to do, is set path for our project ("Export Location"), add Name and choose if it will be exported to Collection or Composition (HardRock's project is a example of project which was generated as Collection, therefore every image is rendered separately, not like in my example, as a one high resolution image. With composition, you have more opportunities but also more files in project = more KBs). 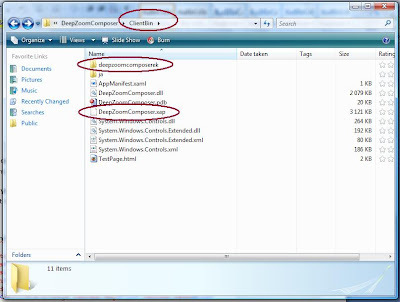 We need only folder with images and file "info.bin", in my example this is folder "deepzoomcomposerek". OK, we have images from Deep Zoom Composer application. 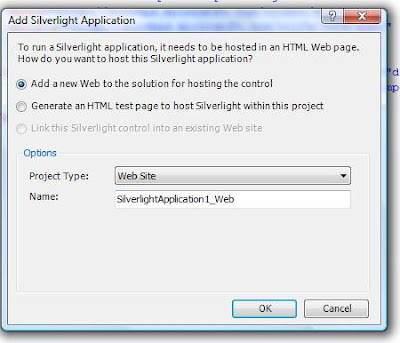 Let's put this to Silverlight 2.0 (If you haven't installed Silverlight Tools Beta 1 for Visual Studio 2008, you can download it here). First, create new project in Visual Studio 2008. Now you should be able to run your project and see your images. 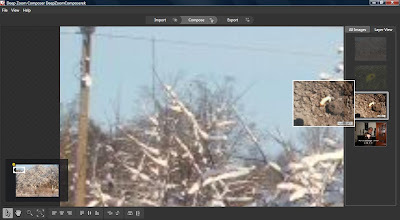 Now you can run application and “deep zoom” in your images. As you can see in code, you can zoom in/zoom out your images with Q and E or move them with W, S, A, D and arrows. I hope you enjoy this article, it was my first in English and I think the last one on this blog. There is a plenty good blogs in English and I don’t want to just copy them. So if you have any question about articles wrote in polish, send me email and I will try to help you.